The Japanese recognize excellence for what it is, and instead for making cheap knock-offs they bring in great companies with stellar products from other places, and make them feel at home. Doughnut Plant, the famed New York bakery that makes some of the best doughnuts in NYC, is one of those great companies that now calls Tokyo home. 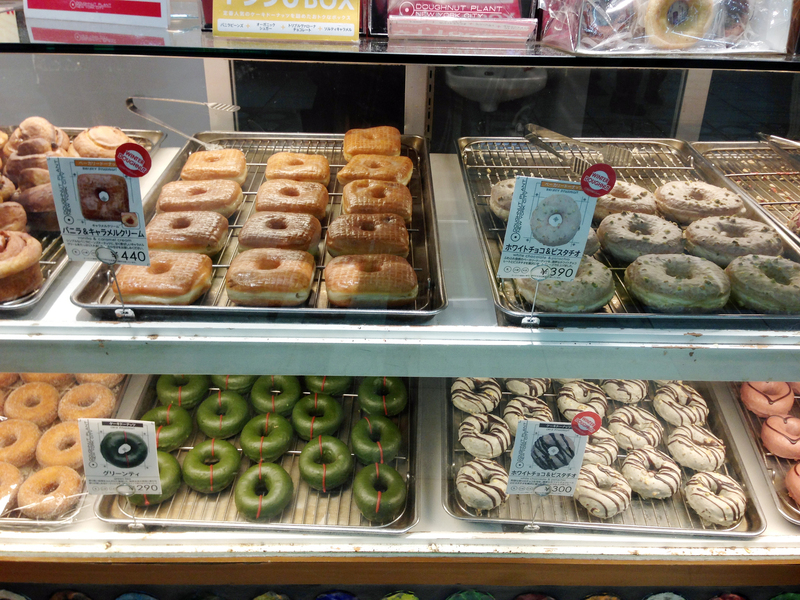 Doughnut Plant opened in Tokyo in 2004, and has since grown into several locations. The easiest branch to find is located in Shinjuku Station, on your way to the Lumine department store. The counter is fairly large (equal or larger than some of the New York branches), and a small seating area if to enjoy your treat. You'll find all Doughnut Plants signature flavors like the "Blackout" a chocolate lovers dream doughnut, and the "Tres Leches" another favorite. You'll also spot a few that you won't see stateside—as with most things Tokyo has put its own unique spin on the flavors, so you end up with doughnuts like "Soy milk triple berry", "Kyoto Uji Matcha Green Tea", and "Baked Parmesan Cheese Cake". Another thing we noticed that you can't get stateside is the smoking area near the counter. Smokers will be happy that there's one place left in the world they can enjoy their morning coffee and doughnut with a side of nicotine.